Punk’s Gourmet Pepper Sauce is aptly named. I wouldn’t call it a hot sauce per se. 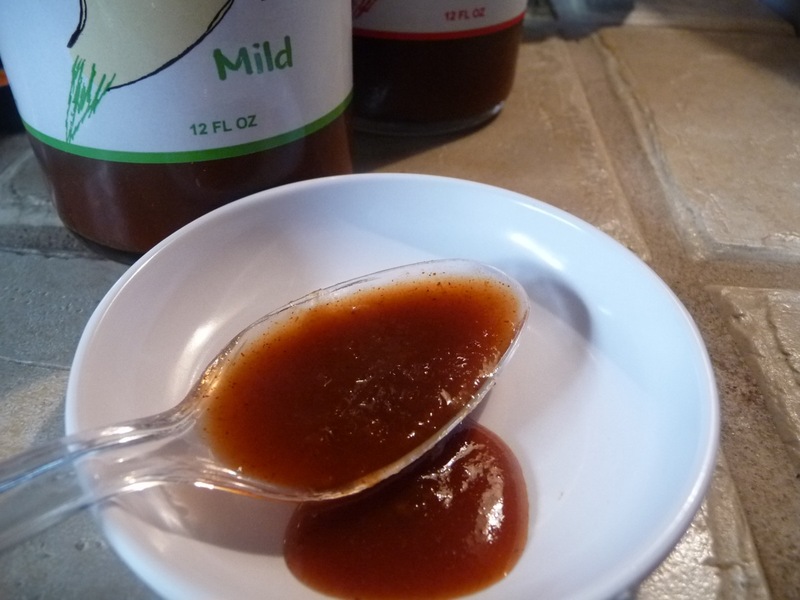 Sweet, savory and slightly spicy, this very pourable sauce is more of a condiment than a hot sauce. It really is a pepper sauce of sorts. Available in big 12 ounce bottles, there are 2 versions, Mild and Smok’n. 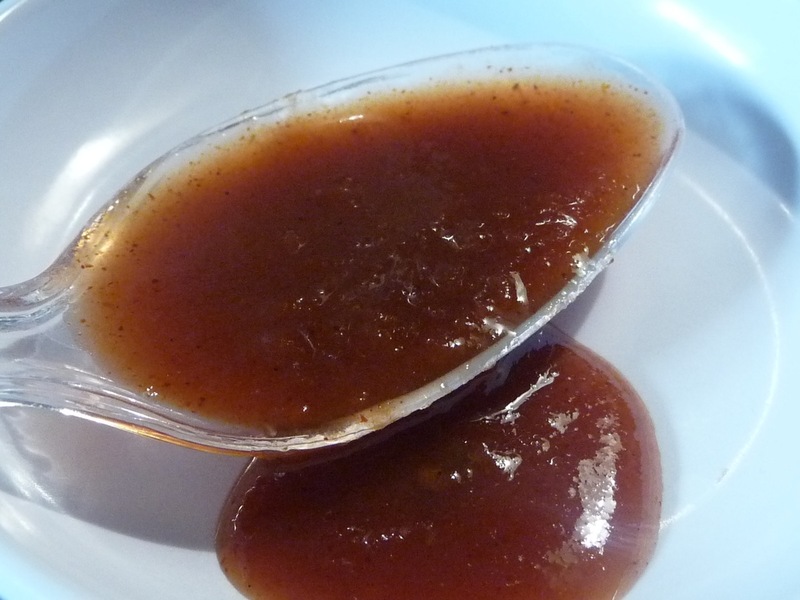 While not exactly a spectacular looking sauce, it is impressive in its body and cling factor. Just shy of medium thick, there are bits of ingredients that add a slight, yet tiny chunkiness to the look and feel. 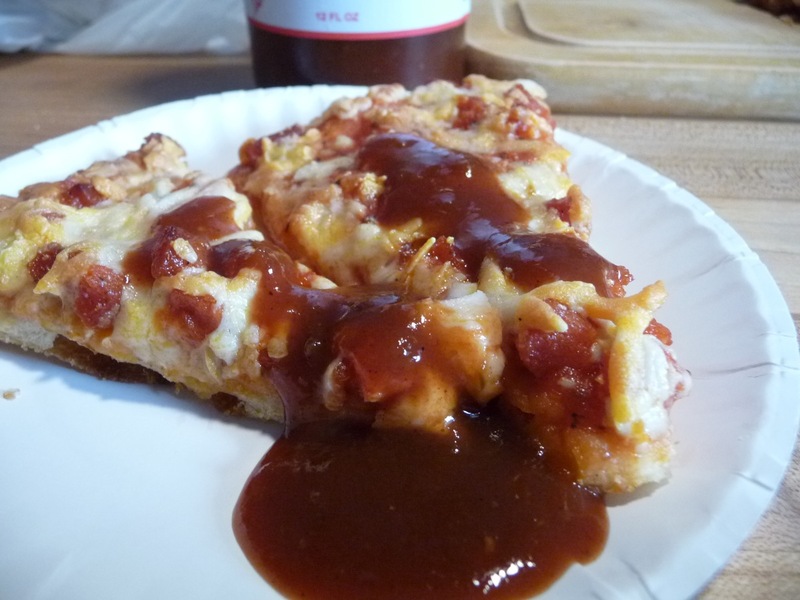 There’s a reddish-brown color to it that falls in between a catsup and barbecue sauce color. I know that’s vague, but it just doesn’t have a super unique look to it, and so the pictures will have to do. Aroma? Sweet. Vinegar. Tomato. Those are the first things I smell in this sauce. First taste? Sweet. Vinegar. Tomato. Yup! It’s consistent. A light, spicy heat follows… just barely singeing the tip of my tongue. I’ve tried so hard to avoid comparing Punk*s to a spicy ketchup, but the strong condiment profile is just too much to pass up. THIS IS NOT A SPICY KETCHUP by any means. Perhaps it’s the dominant tomato flavor and consistency, but it is very much thinner than ketchup. Think more of a traditional taco sauce taste and flavor, kick it up 80% in flavor, and that’s what Punk*s tastes like to me. Only better. With such a simple list of ingredients, hell, it even begins to look like what you might find in a BBQ sauce too. We’ve not grilled with it yet, but that is a future plan. I know Marty has posted a few grilling meals using his Punk*s sauce on his Facebook page. And while we’re talking grilling with Punk*s, let’s address the “liquid smoke” ingredient. I know it’s controversial in the BBQ world, especially in BBQ sauces, but let’s face reality folks… liquid smoke is just that… smoke collected from, well, smoke and allowed to drip down and be collected in it’s condensed liquid form. It’s not man-made. It’s all natural. Folks either like it or not. I happen to think it’s usually a nice addition to sauces, BBQ or otherwise – as long as it’s not TOO strong or predominant. Punk*s keeps it light. Finally, the mouth feel is delicious. The tiny bits and chunks add a nice texture, and the sweet brown sugar makes it very satisfying. Mild: – With a big enough slurp off the spoon, I can manage a slight sweat on the top of my head. The peppers add just enough heat to keep this sauce in the mild category, while delivering a huge amount of flavor. Smok’n: – Remarkably, Punk*s has kept the same sweet, delicious flavor in the Smok’n version, adding only more heat. Most sauces that shoot for a spicier version than the original somehow change the flavor profile slightly. Not so here. While I’ve given it only 1 more star for heat, the Smok’n is just not up in the 2.5 star range. I actually like that. 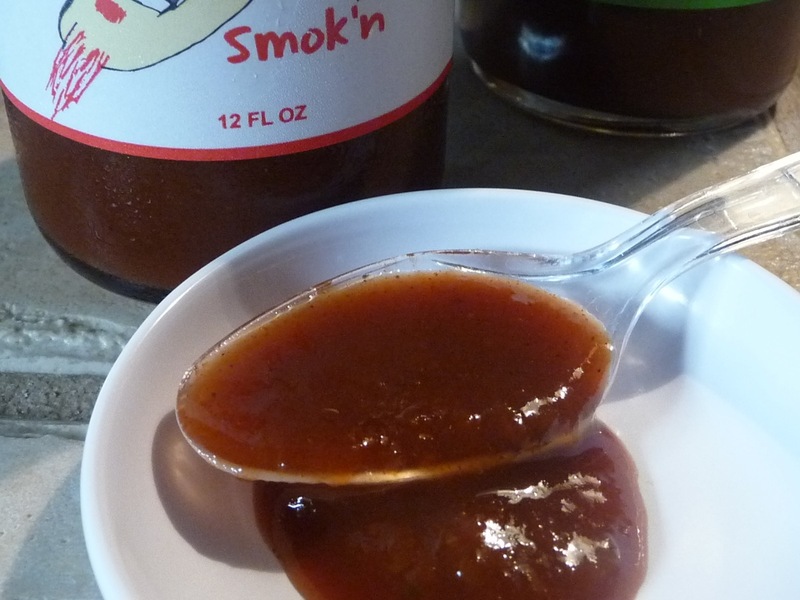 A strong mild-medium heat from the Smok’n is perfect for this sauce and its flavor profile. While I’m not normally a fan of many cartoon-like labels, in this case it just works. The label is simple, clean, and you know what you’re getting. 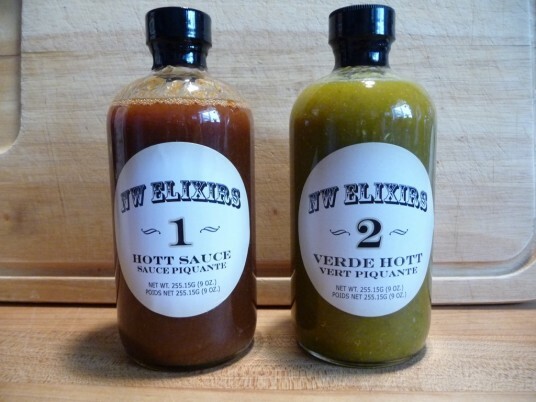 The large 12 ounce wide mouth bottle, more than twice the size of 5 oz bottles of most hot sauces, makes for a great package. Also, kudos to Punk*s for the easy-open top. 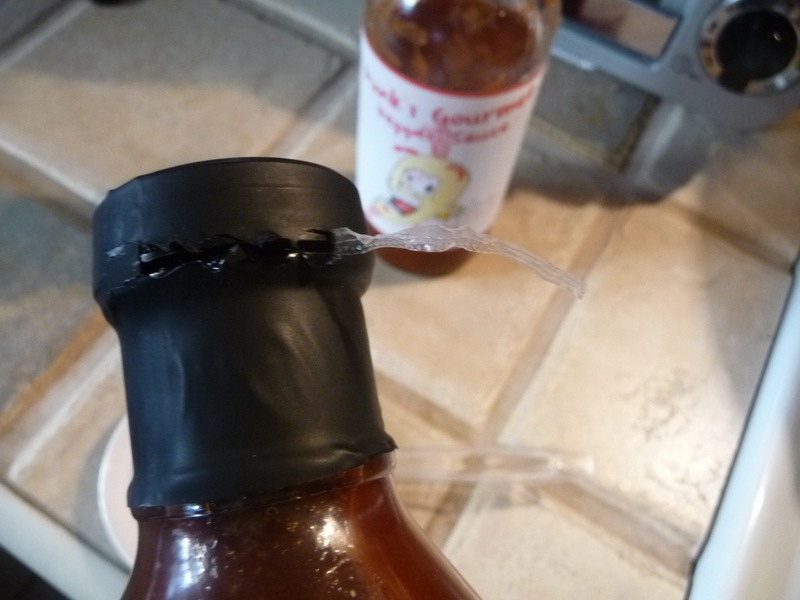 A zip strip surrounds the lid making for a quick and easy opening. Yes, these little touches mean a lot to us reviewers. I’ve dipped french fries and mozzarella sticks in it – superb! And I’ve tried it on pizza – perfect! Punk*s Smok’n on Pizza rocks! This was one of the most fun, yet difficult reviews I’ve had to write in awhile, as Punk*s Gourmet Pepper Sauce is so hard to describe and categorize. Also, please note the unusual nomenclature in Punk*s name – an asterisk (*) replaces the apostrophe (‘) in Punk*s, and Smokin’ is now Smok’n – very unusual spellin’s indeed! Overall Rating: – Yes, it’s a 5 Star sauce – our top rating! 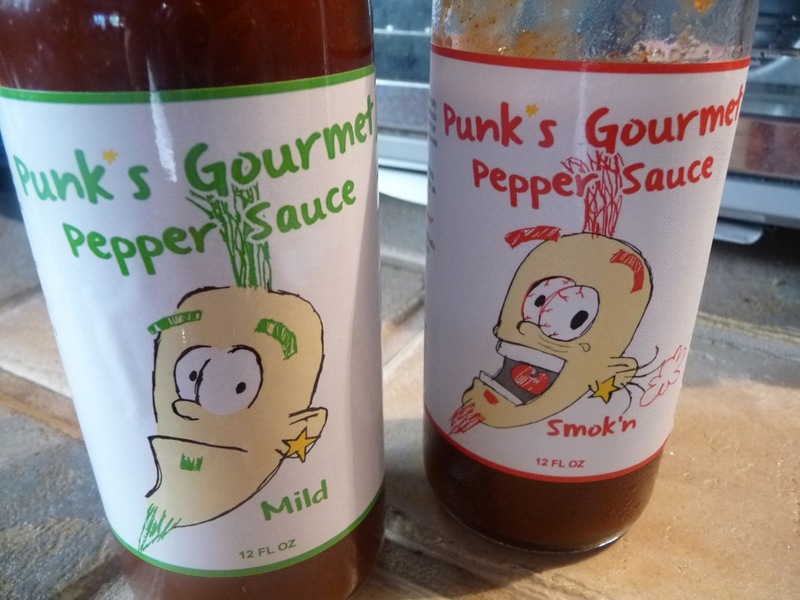 Punk*s Gourmet Pepper Sauce is one of the best products I’ve tried so far in 2012, and could easily make it into my Top 10 list for 2012. Punk*s Gourmet Pepper Sauce in big 12 ounce bottles can be found at PunkThisNow.com.